From trailer reinforcing and modifying to windows and doors being scratch built, to light fixtures to countertops and cabinetry. Everything is purpose-built to suit the nature of life in a tiny portable house. The spaces are so compact that very little energy is required to heat and cool them, making them a unique opportunity to be creative with new renewable solutions. Because of weight we shy away from granite counters, tile, drywall and other rock products. This makes for more texture on walls and more versatility in design. It also makes for a warm inviting atmosphere noticeable as soon as you walk in the door. Installed to residential standards and the houses will run including heat, laptop, and lighting off of any 15 amp 120 volt power supply. All surface run in case of exposure to extreme cold and is fully customizable to suit any potential hook up at any site. 2x4 construction under fir plywood sheathing glued and screwed for strength. Siding is cedar over tarpaper (screwed down) for maximum breathability, long term durability, weight, and looks. We operate out of a small shop in East Vancouver BC. 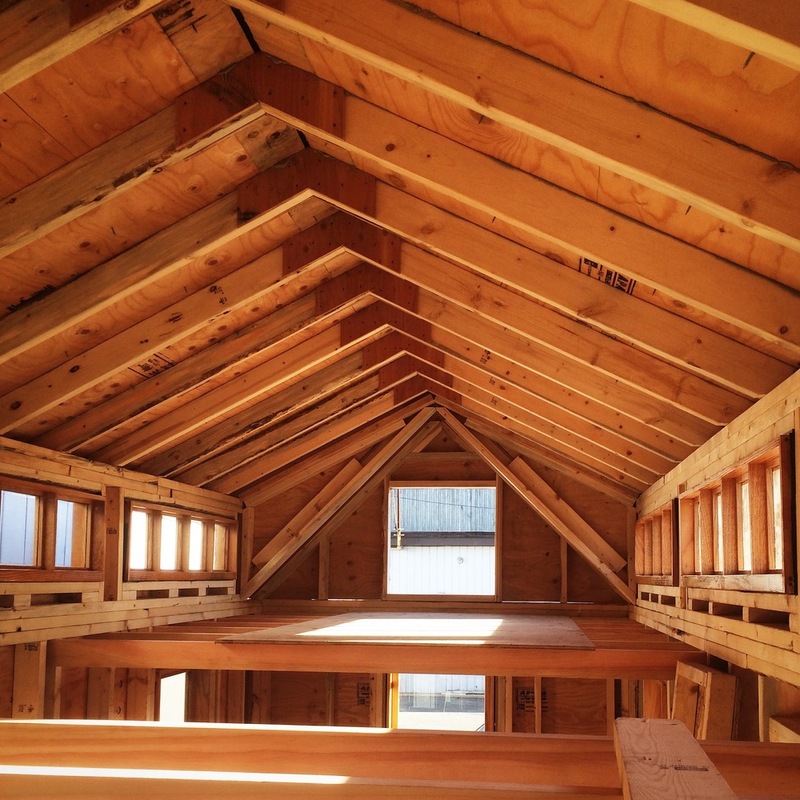 We like to minimize the use of non-natural materials like foam, plastic, vinyl and fiberglass, and stay with traditional building materials and practices. Our tiny houses start life as factory built flat deck trailers with modern electrical, brakes and suspension. Either 7 or 10 thousand pound capacity models, they range from 16-24 feet long. Everything in our houses is hand built, everything is custom, everything is unique. 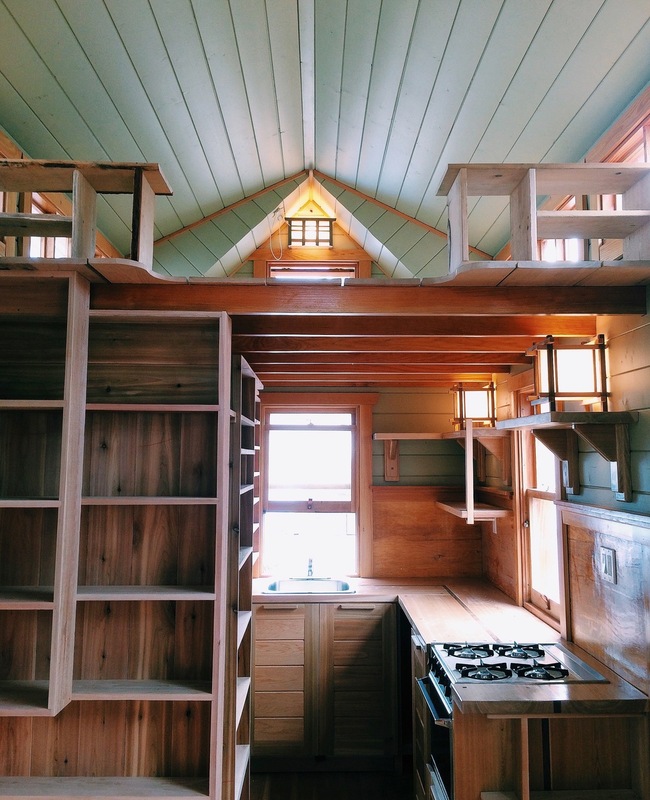 Everything is purpose-built to suit the nature of life in a tiny portable house. The houses are rock wool insulated (r14) and passively vented to provide 4-season living in a BC climate, or a drier colder climate. We can provide any manner of traditional, to custom, to modern heating and cooling if needed. The spaces are so compact that very little energy is required to heat and cool them, making them a unique opportunity to be creative with new renewable solutions. Or custom-fab tiny wood stoves.